We're always being told that we should use our eyes, common sense and most importantly our nose when it comes to deciding if food has gone bad - sell by dates are a good indicator but with overly safe conscious supermarkets, the dates on food are often placed well before food is inedible. 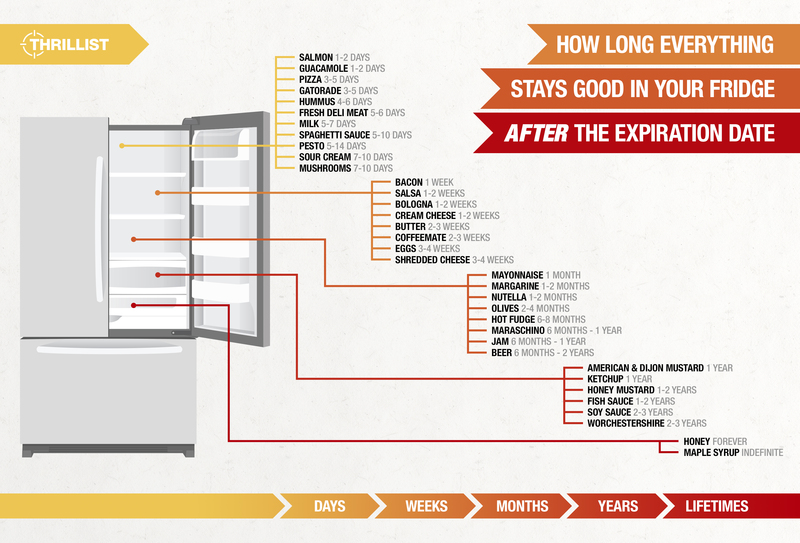 With this in mind the people at the Thrillist have created an infographic that offers up some info on just how long food will usually last after its sell by date. Eggs, honey, mustard and mushrooms are all listed with the infographic using data from Eat By Date who do research into how long food will actually last after a sell by date. Take a look for yourself - you'll be shocked by just how long some foods last.